What’s Coming Up at the Library in 2018? There are a few changes and additions, occurring at the Library starting January 2018. Starting January, 3rd Wednesday morning Preschool Storytime times will be changing. There will now be three sessions for children ages 5 and younger and their caregiver. During storytime, we read books, play games, and make crafts. Children must be accompanied by an adult. Preschool Storytime is every Wednesday morning unless the library is closed or there is bad weather. You can pick and choose which session you wish to attend. However, we ask that you only visit storytime once a week. 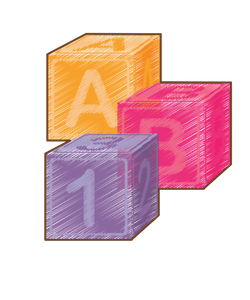 The Library is adding a Baby Lapsit program on Wednesday morning at 11:00 am. Baby Lapsit is a short 15-minute program, for ages 0 to 18 months. 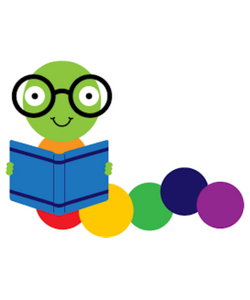 Baby Lapsit is a perfect time to introduce your baby to books while learning some fun rhymes. It is also an excellent opportunity to meet other parents. PageMasters Youth Book Club meets monthly on the last Tuesday of the month. This book club is for youth ages 12 to 16. Our next meeting is January 30th at 4:30 pm. 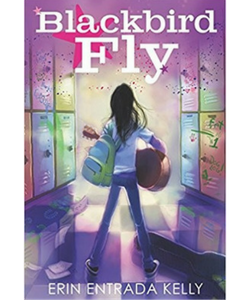 The book we will read this month is Blackbird Fly by Erin Entrada Kelly. Apple has always felt a little different from her classmates. She and her mother moved to Louisiana from the Philippines when she was little, and her mother still cooks Filipino foods and chastises Apple for becoming “too American.” When Apple’s friends turn on her and everything about her life starts to seem weird and embarrassing, Apple turns to music. If she can just save enough to buy a guitar and learn to play, maybe she can change herself. It might be the music that saves her . . . Or it might be her two new friends, who show her how special she is. Erin Entrada Kelly deftly brings Apple’s conflicted emotions to the page in her debut novel about family, friendship, popularity, and going your way. “A must-read for those kids cringing at their own identities.”—Bulletin of the Center for Children’s Books. If you would like to borrow a copy of this book, please ask at the main circulation desk or call the library at 405-222-6075. If you do not have time to read the book, it is ok. You can still join the discussion and talk about the books you have been reading. 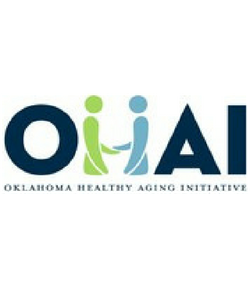 The Chickasha Public Library and the Oklahoma Healthy Aging Initiative (OHAI) Central Center of Healthy Aging are collaborating to provide Eat Better, Move More training for older adults throughout the state of Oklahoma. The Eat Better, Move More program is an 8-week program designed to fit the interests and needs of older adults who want to maintain or improve their quality of life. Each week will focus on a different aspect of nutrition and physical activity. The program will be from 1:00 -2:00 pm, Thursdays, beginning January 11, 2018, for eight weeks, at the Chickasha Public Library at 527 W. Iowa, Chickasha, OK 73018. This class is offered at no cost to participants and is open to the public. Participants will receive a free step counter and the Eat Better, Move More manual including daily record sheets for individuals to track their success. Instructors are provided by OHAI, a program of the Donald W. Reynolds Department of Geriatric Medicine at the University Of Oklahoma College Of Medicine, supported by the Donald W. Reynolds Foundation. To receive additional information, call OHAI’s Central Center of Healthy Aging at (405)271-6424. To register, call the Chickasha Public Library at (405)222-6075. The program will be from 3:30 p.m. – 4:30 p.m., Mondays, and Thursdays, beginning January 8tht, for six weeks, at the Chickasha Public Library at 527 W. Iowa, Chickasha, OK. This class is offered at no cost to participants and is open to the public, but class size is limited, and pre-registration is required. Instructors are provided and trained by OHAI, a program of the Donald W. Reynolds Department of Geriatric Medicine at the University of Oklahoma and supported by the Donald W. Reynolds Foundation. To receive additional information or to register call the Chickasha Public Library at 405-222-6075. 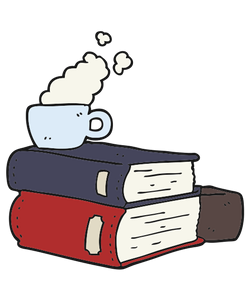 Chapter Chat meets on the fourth Monday of each month, at 7:00 pm at the Chickasha Public Library 527 W Iowa Ave.